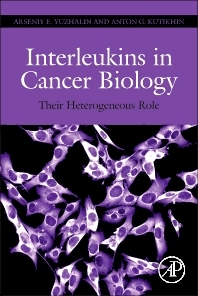 Interleukins in Cancer Biology responds to the growing need for credible and up-to-date information about the impact of interleukins on occurrence, development and progression of cancer. It provides reliable information about all known interleukins (38), describes recent discoveries in the field, and moreover, suggests further directions of research on the most promising aspects of this topic. The structure and presentation of the work is very understandable and clear with attention to detail maintained throughout. There are multiple illustrations throughout to help in comprehending and remembering the most important facts. .
useful for the wide audience, particularly immunologists, cancer researchers, pathologists, PhD, graduate and undergraduate students of biomedical faculties and their lecturers. The book may also be recommended as additional literature for students studying the Master and PhD courses in Cancer Biology or Immunology. 7.1. Mighty Interleukin-12. Attractive Candidate for Cancer Treatment? Arseniy E. Yuzhalin obtained his bachelor`s degree from the Department of Genetics, Kemerovo State University. Even at that time he began to study interleukins and their impact on cancer development. After the graduation he continued investigating the role of interleukins in cancer biology in Kemerovo State Medical Academy as a research scientist. Arseniy is currently a Ph. D. student under the supervision of Prof. Ruth Muschel at the Department of Oncology, University of Oxford. He is an author and co-author of over 30 publications including 3 monographs. In addition, he is a Guest Associate Editor in Frontiers in Microbiology and Frontiers in Immunology. 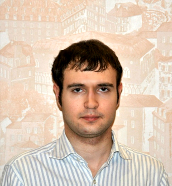 Anton Kutikhin earned his medical degree in Kemerovo State Medical Academy, Kemerovo, Russian Federation. Currently, he is a researcher in the Department of Epidemiology, Kemerovo State Medical Academy and in the Research Institute for Complex Issues of Cardiovascular Diseases under the Siberian Branch of the Russian Academy of Medical Sciences. His research interests include: (1) The role of pattern recognition receptors in cancer; (2) Colorectal cancer risk factors; and (3) The clinical significance of calcifying nanoparticles (nanobacteria), giant viruses, and virophages.